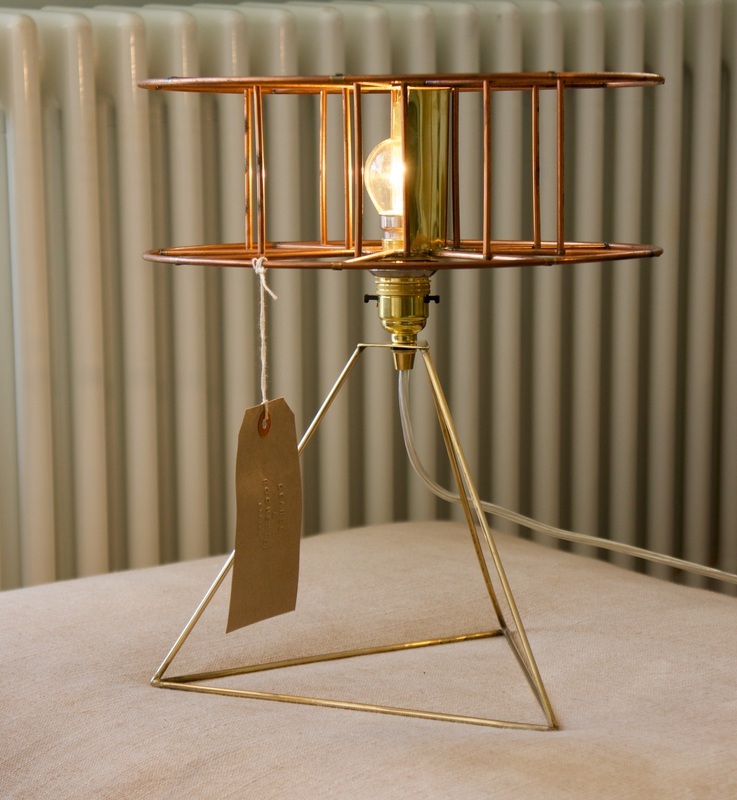 The 'Finisterre' Light is based around a re-purposed ship builder's weld spool. 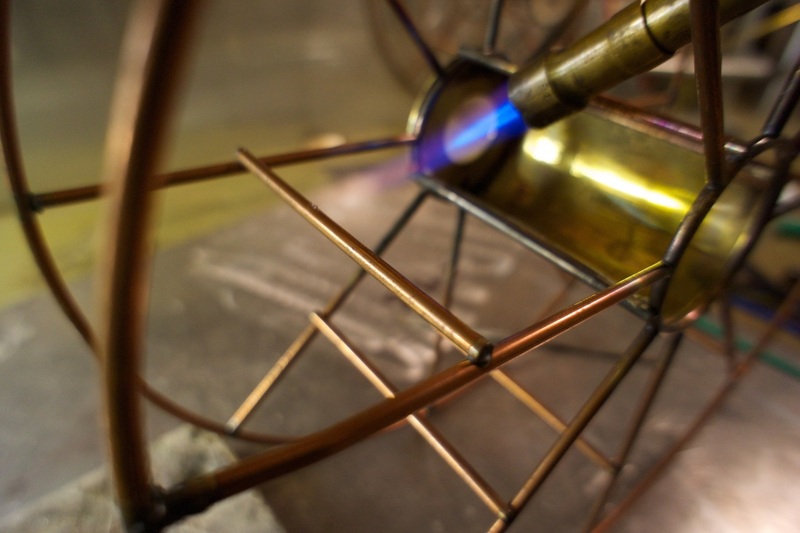 The cage supports a polished brass reflector that revolves around a naked bulb on a bicycle head bearing. The base is constructed from solid brass.